The right clubhead design with the best compromise of forgiveness and control and hitting zone placement. flex profile for each Iron. The right club weight and swing weight. The right amount of off-set in the clubhead. A grip size that fits your hands. 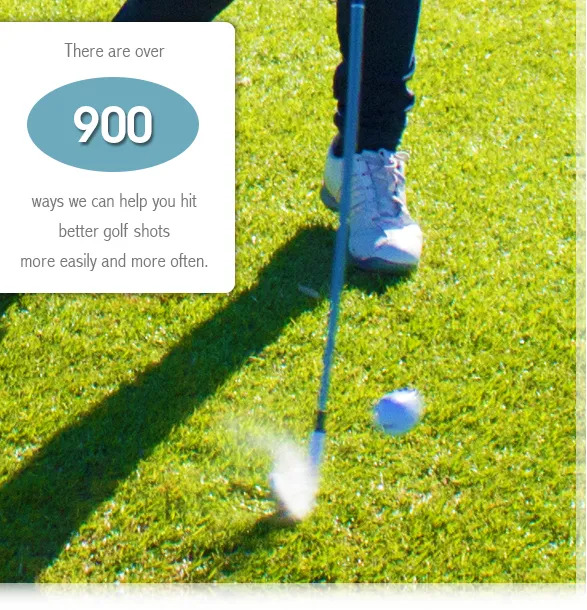 Our job is to make sure you get more enjoyment hitting better golf shots more often. So don’t leave solid contact to chance. If you’re going to take advantage of new Iron technology that expands the hitting zone, get fitted. It doesn’t matter if you’re a better player or inexperienced, a golf club that fits your game increases the chance of solid, square contact.